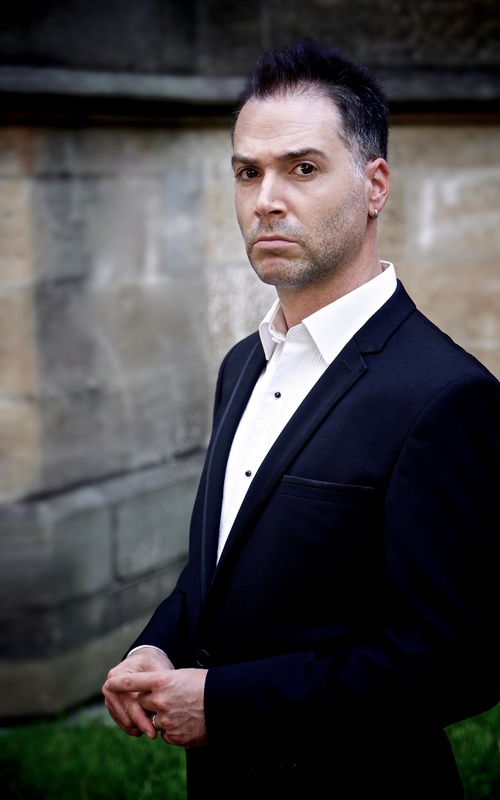 Born in Sydney of Egyptian parents, baritone Simon Lobelson spent his childhood in Brussels and currently resides in Sydney. On a scholarship from the University of Sydney, he obtained first-class honours in his Bachelor of Music degree. Later, whilst studying with John Pringle, he won the Tinkler Award in the 2003 Australian Singing Competition. Awarded a Stanley Picker Scholarship and a Martin Harris Scholarship from London’s Royal College of Music, Simon began his postgraduate studies in September 2003 under the tutelage of Roderick Earle. He has sung in public master classes with Sir Thomas Allen, David Syrus, Rudolf Piernay, Roger Vignoles, Gerald Finley, Stephen Varcoe, Sarah Walker, Dame Kiri Te Kanawa, Richard Van Allan, Philip Langridge, Craig Rutenberg and Margaret Honig. He completed his studies at the prestigious Benjamin Britten International Opera School of the RCM with distinction, and then continued his vocal training with Sir Donald McIntyre. He was a finalist in the 2011 Wagner Society Competition and a Tait Memorial Trust 2011 Thornton Foundation Award recipient. Simon is currently a lecturer, coach and vocal professor at the Sydney Conservatorium of Music, fluent in almost four languages, guest coach for Pinchgut Opera, a guest educator at Sydney Grammar School, judge for the Sydney Eisteddfod and Sydney University Palladian Cup and has given masterclasses in both Australia and China. He has worked as a soloist in Australia, the Middle East, New Zealand, Asia, the United Kingdom and Europe. He is currently completing his PhD through the University of Sydney. Lobelson won superlative press honours for his Opera Australia debut in 2018 as the main role of Gregor Samsa in Brian Howard’s Metamorphosis in both Sydney and Melbourne. Some wrote: “The role of Gregor requires a fit and athletic singer to cope with the physical demands. Singing with full-voiced strength across his range, baritone Simon Lobelson brilliantly depicts Gregor’s gradual physical adjustment to his insect-like transformation.” (Murray Black, The Australian), “Simon Lobelson’s peformance is a vocal, theatrical and athletic tour de force as he projects a clean, well focused and rounded sound” (Peter McCallum, Sydney Morning Herald),“Baritone Simon Lobelson is magically agile in both voice and movement” (Martin Portus, Stage Whispers), “Simon Lobelson as Gregor is amazingly able to sing with full vitality and range of expression, while at time performing the insect at a level we might expect of professional circus skills- climbing the walls, swinging upside down from a light fitting, rolling on the floor while flailing limbs in the air- his performance here is astonishing.” (Peter Hurley, Classic Melbourne, Metamorphosis), “With astonishing physicality and a no less persuasive vocal performance (even when hanging upside down), Lobelson was tremendously affecting” (Deborah Jones, Opera), “His is a highly athletic performance, restlessly clambering over, around, and up and intricate scaffolding set, simultaneously displaying a voice of burnished bronze that projected well…. His dicton was unwaveringly clear and precise, and the were many moments of poignancy and pathos: a performance that will long linger in the memory.” (Michael Halliwell, Australian Book Review, Metamorphosis), “Lobelson’s dark, emotive baritone and detailed physicality, from arms and legs flailing initially to scurrying, crawling movement, is very visceral and works a great for Gregor” (Jo Litson, Limelight), “Simon Lobelson gives an extraordinary performance as Gregor, singing with steely, focused power and expending unbridled physical energy in the highly demanding role” (Simon Parris, Man in Chair), “Above all, credit goes to baritone Simon Lobelson in his tour de force as the unfortunate Gregor, who wakes up one day as a giant insect. Part gymnast- crawling across the roof of the set, swinging and singing upside down from the chandelier – part actor and constantly engaged singer, he meets every challenge with panache.” (Barney Zwartz, Sydney Morning Herald, Metamorphosis), and “Buff baritone Simon Lobelson invests incredible athleticism and sensitivity… even when hanging upside down for minutes from an overhead light fitting, Lobelson maintains exhilarating power, balance, conviction and burnished quality of voice” (Paul Selar, Opera Chaser). His recordings include The Sofa for Chandos, Haydn’s Nelson Mass and Nicolai Mass for Israel Camerata,The Fairy Queen and Charpentier’s David et Jonathas for ABC Classics; broadcasts for Classic FM, Fine Music FM, Foxtel and BBC Radio 3; on soundtracks to exhibitions at both the Australian and British Museums and NSW State Archives, and on the in-flight soundtrack for British Airways and Qantas flights.